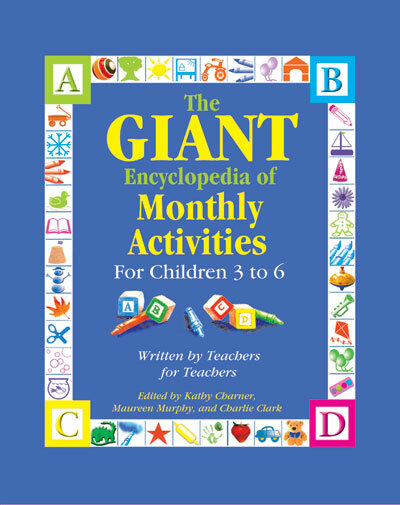 Organized by month for easy use, this work presents creative ideas that span the traditional areas of learning such as science, math, art, and music and movement, as well as the additional experiences including field trips, cooking, and holidays. Each activity includes instructio... read full description below. Organized by month for easy use, everyone will love the creative ideas that span the traditional areas of learning such as science, math, art, and music and movement, as well as the additional experiences including field trips, cooking, and holidays. Each activity includes instructions and a list of materials, plus possibilities for extending the activity further. 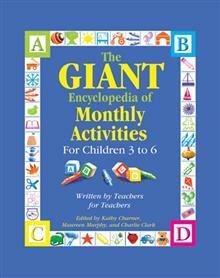 Many also include lists of related children's books to further both literacy and imaginative play. Sample activities include: face painting and mask making; insect ABC's and outdoor games; dinosaur elections and other fun formats; and feather duster painting and other creative fun. Loved by children because they're fun, and by adults because they aid learning, the ideas in The Giant Encyclopedia will captivate children's imaginations and create wonderful opportunities for learning. Kathy Charner has been with Gryphon House for over 15 years and has served as Editor-in-Chief. She is the editor of several books including The GIANT Series and the Learn Every Day series.